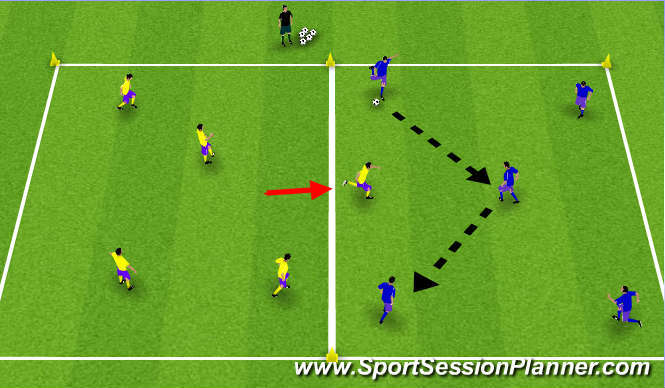 Football/Soccer Session (Moderate): Quick play and possession. Players on the outside have to move to creat space and be free from there opposite yellow defender to combine with middle players. 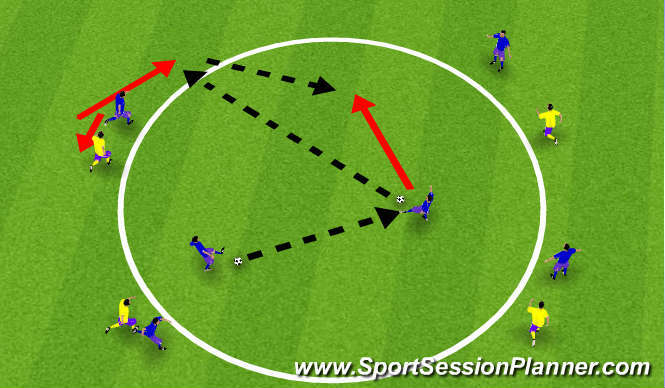 5v2 Using 4 goals, get players to use quick passing, creating space and keeping possession. They need to make 5 passes before scoring in any goal to gain a point. If defending pair win ball they can score straight away in any goal to also score a point. 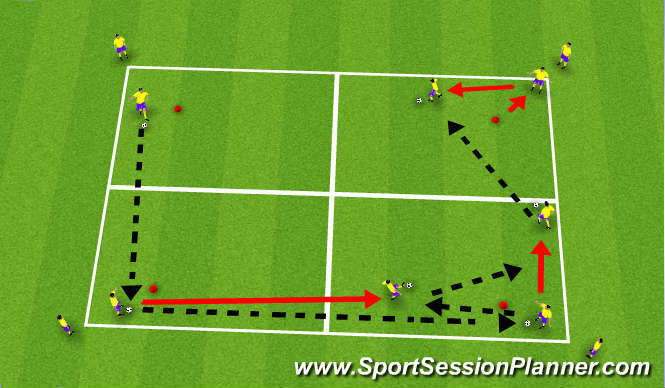 Coaching points, Create space and move ball quickly, think of how you want to receive the ball by opening up body ready to play next pass.